It can make a significant impact on the total cost of a publication, its perceived quality and production performance. As leading manufacturer of high-volume Freesheet and Premium Hybrid publishing papers, we give you the inside perspective on how to optimize your paper selection and get the most from your paper resource. 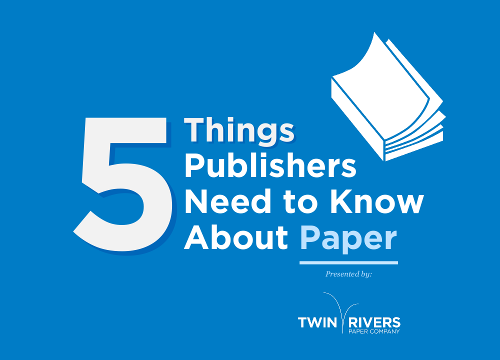 Download our e-book on the 5 Things Publishers Should Know About Paper. Bottom line, don’t opt-out of paper selection process. The more you know, the more your paper can make an impact. Would you like one of our publishing experts to contact you to evaluate your publication?